The remains of a mid-Jomon period residence. 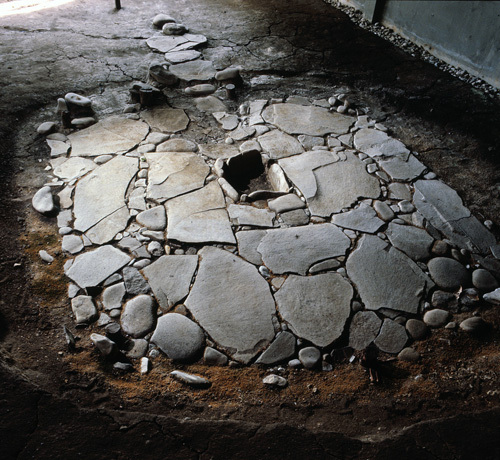 Flat stone blocks form the flooring with a hearth at the center. Designated a Prefectural Historic Site in 1977 with a protective structure around it built in 2003.